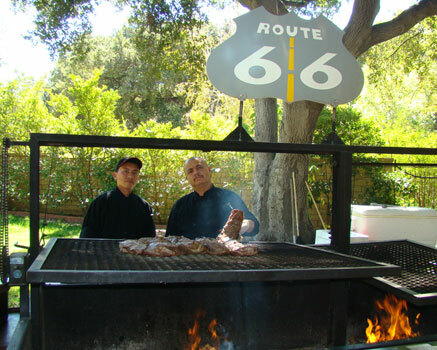 Route 66 Can Cater Your Event! All packages include garlic bread, Caesar salad and your choice of two additional sides. Plastic plates, plastic silverware and napkins are included. This is the most popular! 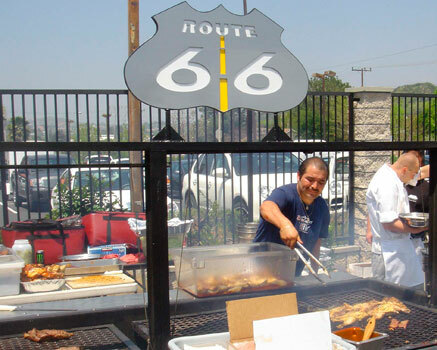 Our professional staff will slow cook your food over red oak coals. We provide our own tables and chafing dishes to serve from. This package includes 3 servers for the buffet line who will also go around and clear the tables after your guests have finished eating. We will provide our own tables and chafing dishes to serve from. This package includes 3 servers. Our professional servers will set up the serving area, serve the food and will also go around and clear the tables after your guests have finished eating. 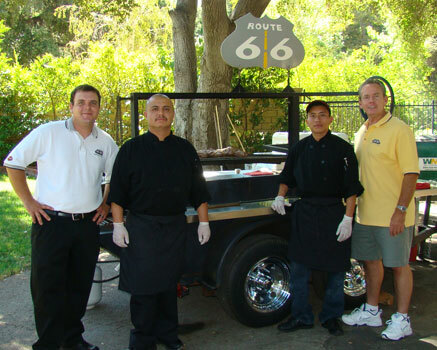 We will deliver your food to your event. This package does not include the serving tables and chafing dishes but they can be added for an additional charge. There is no charge for delivery in the Santa Clarita Valley with a $200 minimum purchase. Pickup. Ready for you to pick up when you want it.